- Level III ESAPI Plates. Real Deal! Level III ESAPI Plates. Real Deal! 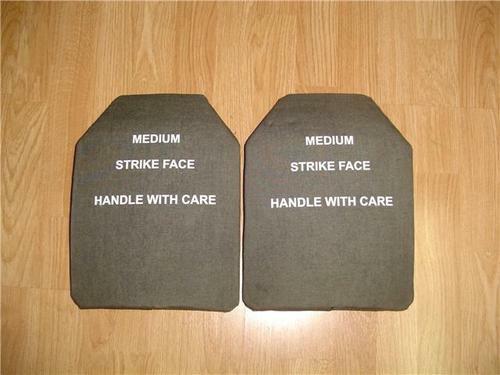 ESAPI (Enhanced Small Arms Protective Insert) Plates or Ceramic plates (also known as trauma plates) are commonly used as inserts for soft body armour. Most ESAPI plates used in the body armor industry can protect against a NIJ level III and IV with a IIIA vest supporting. ESAPI plates are a form of composite armour. Insert plates may also be manufactured from steel.